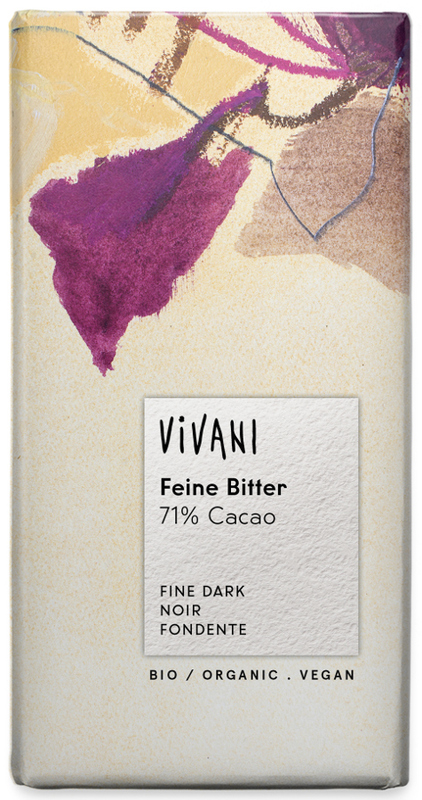 The recipe for this 71% Dark Chocolate from Vivani was awarded maximum points by the gourmet magazine ”Savoir Vivre“. This is because Vivani takes great care to ensure that its organic chocolate fulfils high quality demands and is always a pleasure for gourmets and lovers of fine dark chocolate. At the same time it is fundamentally important to the company that it makes a contribution to maintaining healthy agricultural methods in the countries which supply the raw ingredients. Store in a cool dry place. Also great served chilled from the fridge. 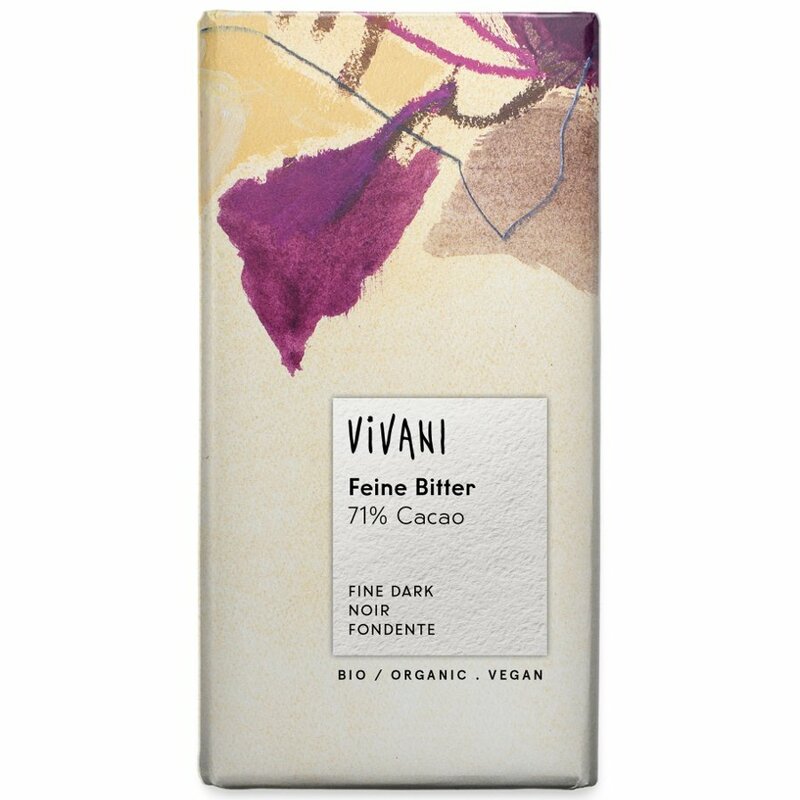 There are currently no questions to display about Vivani Organic 71% Dark Chocolate - 100g.